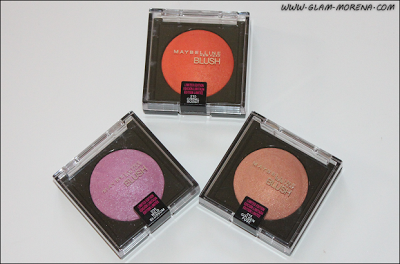 Glam Morena: Maybelline Baked Blushes. 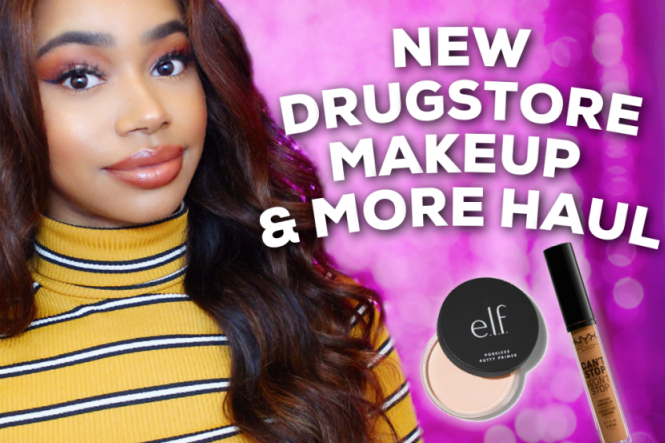 If you checked out my Walgreens post from yesterday you know I purchased some new Maybelline Cosmetics. 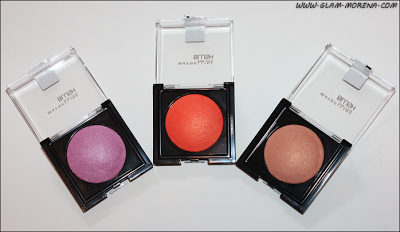 These items are from the Maybelline Fashion 2013: Color Goes Electric Collection. 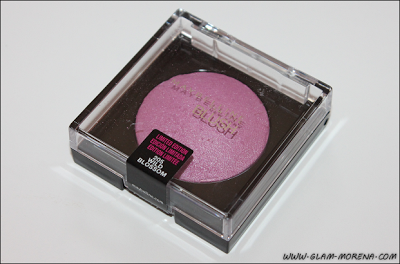 This collection included three limited edition Maybelline Baked Blushes. 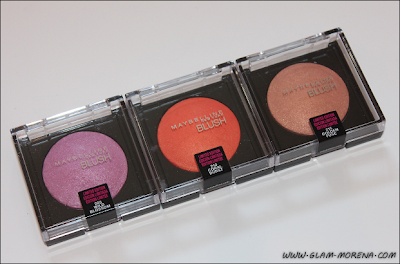 I ended up purchasing all three blushes. 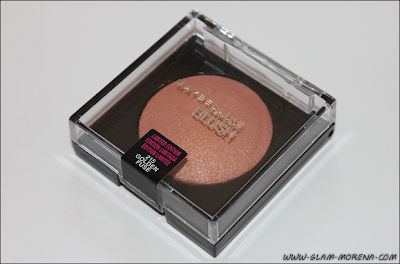 Maybelline Color Goes Electric Collection Baked Blushes. 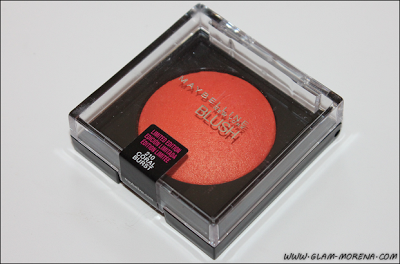 Maybelline Baked Blushes in Wild Blossom, Coral Burst, and Golden Fuse. 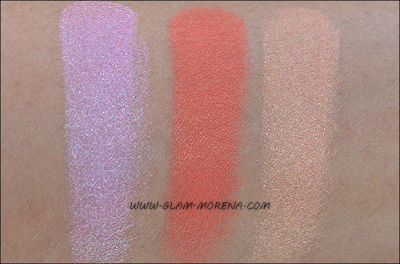 Swatches of the Maybelline Baked Blushes in Wild Blossom, Coral Burst, and Golden Fuse. 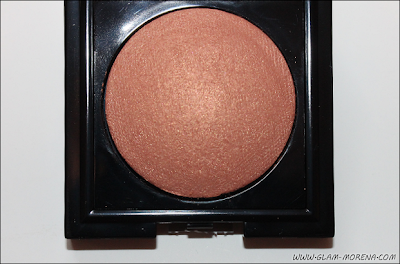 Have you checked out the Color Goes Electric Collection? Thoughts? Favorites? 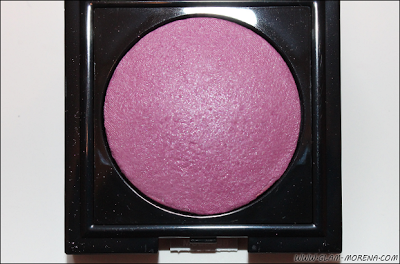 The Coral Burst looks really good!! 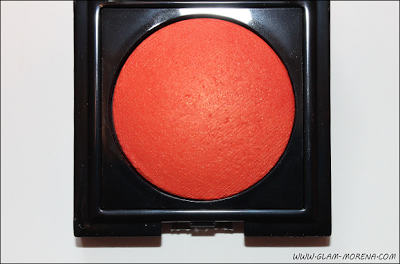 Thanks to you, I've purchased the orange blush! So excited to wear it!